Science dog food coupons are a great way to make quality dog food more affordable. The company has been in business for over 70 years, and believes that many health problems dogs suffer can be alleviated by a nutritional balance. Science Diet prides itself on developing nutritional technology to help pets live long and healthy lives. They even offer a line of Prescription dog food. 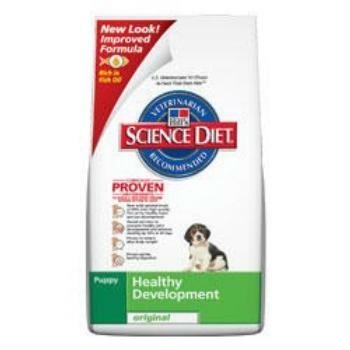 Science Diet dog food comes in different varieties for dogs in all types of health and life stages. If your canine companion needs special food for weight control, sensitive stomach, longevity, or energy, Hills has the right food for the job. That job is easier on your budget with Science Diet coupons. The Hills company stands behind their promise to provide quality dog food with a money back guarantee, and printable coupons found online can help you to see the difference a nutrition enriched diet can make in the health of your dog. This deal is good for 20% off your first order when you sign up for Chewy.com’s autoship program. View other coupons for Hill’s Science dog food below, including cat food coupons.